Catch-it has 26" long handle combined with our patented soft bristles gently surround and enclose the critter, rendering it unable to escape. 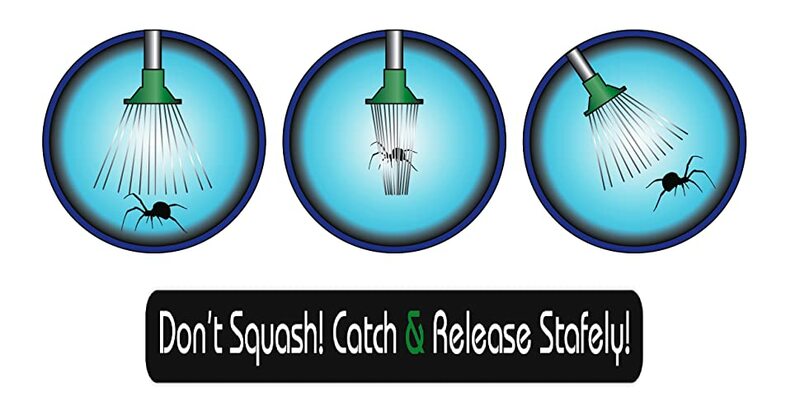 That gives You the power to quickly and easily catch & release all types of critters, no matter where they are. It keeps You at a safe and comfortable distance (over 4+ feet away!) while leaving the critters unharmed! Spiders, crickets, beetles, moths, stink bugs, roaches, ants, cicadas, ladybugs, mantises, scorpions, centipedes, worms, even wasps and bees. Count on it to remove it! Patented design keeps You and the insect safe – no direct contact with the bug and no mess. No batteries required, 100% eco-friendly and chemical-free. Easy to use for adults and elderly. Dimensions: 26" x 5" x 2.5"